Make drying quickly and easy. The infrared light tubes with 1100 watt each is drying faster than ever. With a drying time up to 10 minutes, you never have to wait anymore. Short wave heat dries the paint from the inside to the outside. 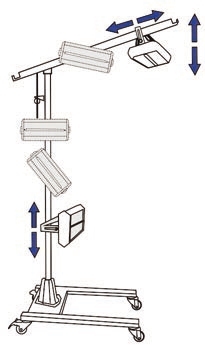 The infrared dryer can be adapted to the requirements of the drying from the front. It is also possible to enable each spot individually. The infrared dryer has an amazing drying surface of 800 x 800mm. 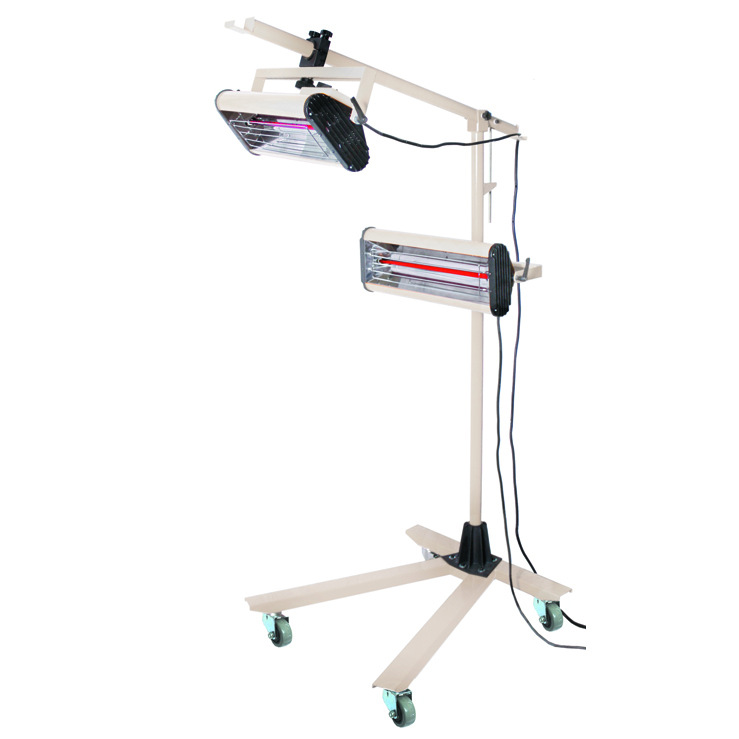 The wheels underneath the frame make the infrared dryer easy to move. The device weights 28 kg. That’s amazing for a device with all these capabilities. 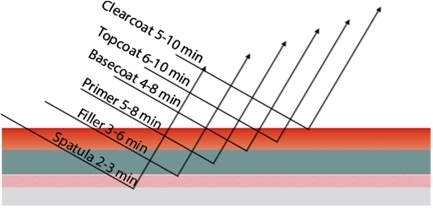 Many paint coatings like the Second Skin have a disadvantage because the first 12 hours after application it may not be exposed to rain or any other moisture. With the IR Paint Protection Coating Dryer you can reduce the drying and curing time to a minimum. It takes only 10 minutes per panel with the IR Paint Protection Coating Dryer which normally can take 12+ hours. It is perfect for professional detailers with limited space who cannot have a car for a minimum of 12 hours just standing there occupying the working - space. The gold coated infrared dryers are made of high quality quartz tubes. Quartz glass is very pure and provides good transmission and temperature resistance. The gold coating on the infrared emitters reflects the IR radiation. The effective radiation on the product is virtually doubled. Warning: Be careful when plastic panels! 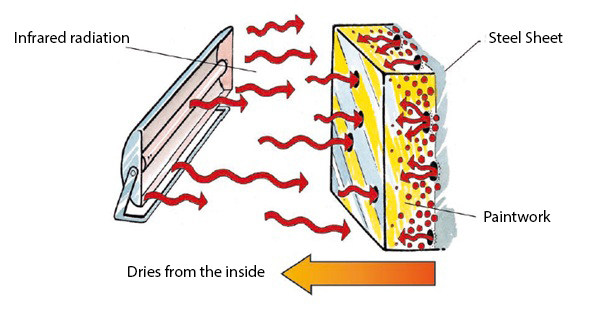 The extreme heat can deform or even melt plastic panels.